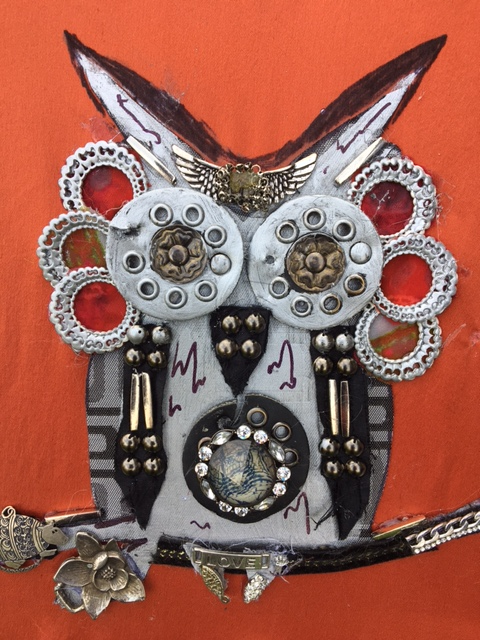 Join Lucy Grundy and turn old pieces of jewellery, cloth, canvas, etc. into unique pieces of art. Follow along with a step by step teaching demonstration and create your finished pieces: maybe an elephant, guitar or owl. What fun! Lucy Grundy is an Expressive Arts therapist working with a multitude of mediums. Lucy has been a visual Artist for over 20 years. Lucy runs an Expressive Arts Therapy program at New Leaf Living and Learning with adults with special needs. She has also taught workshops to her colleagues.